The last time I used Dolphin rumble seemed to be working fine, but now for some reason isn't. I've tried updating the driver and calibrating in control panel, but rumble still refuses to work. 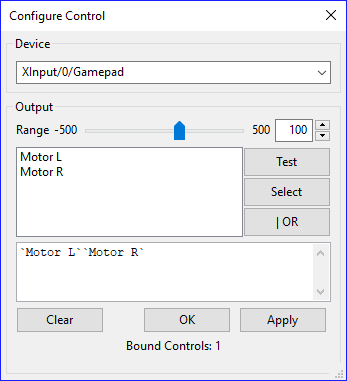 I have an Xbox One Controller and have set the rumble to Motor L, Motor R, but it doesn't work. What game are you playing? Not all games support rumble. I have the same issue with Xbox One controller. I've configured rumble in the settings, but my controller has never vibrated. I've extensively tested (by using "test" feature) different ranges between -500 and 500 and can never feel vibration. 5.0-4835, applies to countless older Dolphin revisions, but I haven't configured rumble before. I thought I'd chime in. With the latest development versions, something seems to be broken with rumble. The stable version works flawlessly. Try enabling 'background input,' and try switching the order of 'Motor R' and 'Motor L' for player 1. Why this worked on my end, I have no idea - but I had to both of those things, or no rumble for any of the players. I especially hate the 'background input' setting, but that's the price I pay to have rumble with the latest development versions.